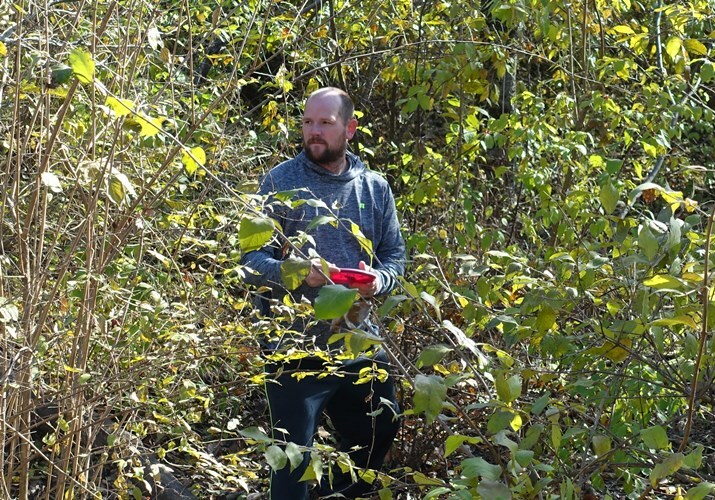 While the ladies were out shopping today I went with my brothers and brother-in-law to go play disc golf. 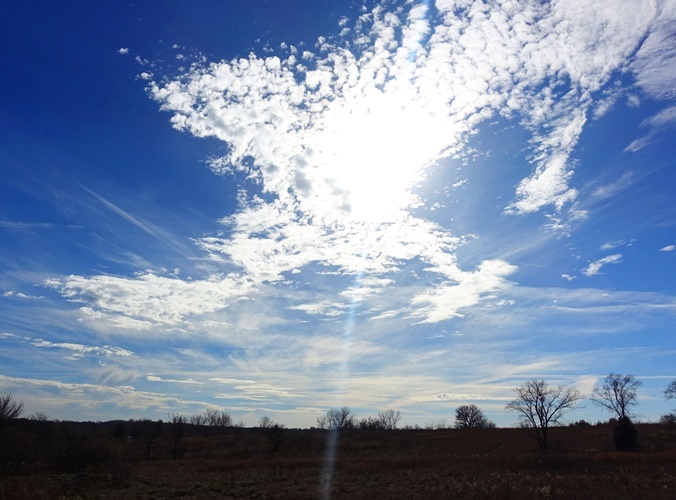 It was a nice day to spend outside as the weather was warm and sunny. However, it was a bit windy which was not as nice for throwing discs. For me this meant a great time to take some pictures. 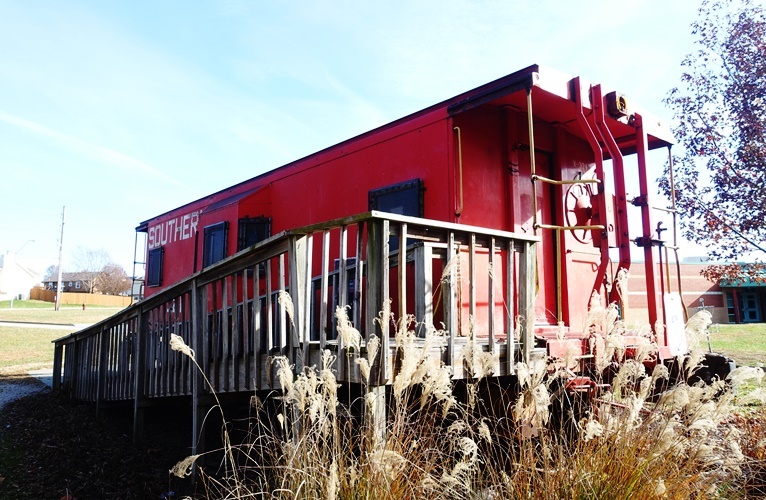 At the first course that we played there was an old caboose at the start and it made for a nice picture. My two brothers both play a lot of disc golf. They also have helped design and build courses. My brother-in-law also plays, but not as much. 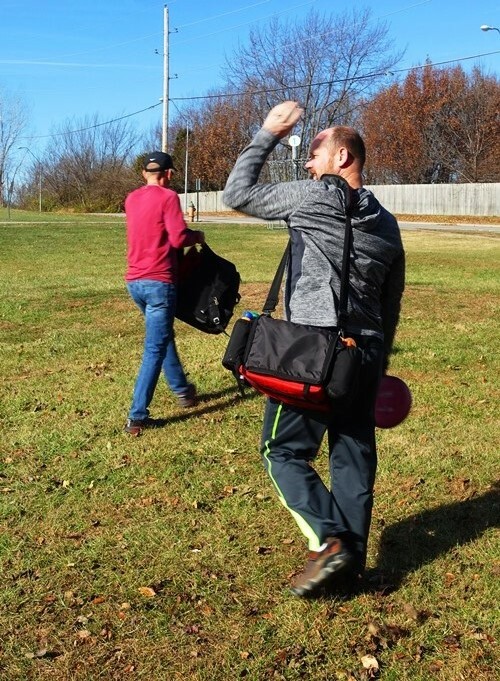 They each had their own bags of discs that they use for different types of situations, just like in ball golf where you carry different clubs. Our second stop was a course at Smithville Lake. The sky was beautiful and I just had to take a few shots of the clouds. 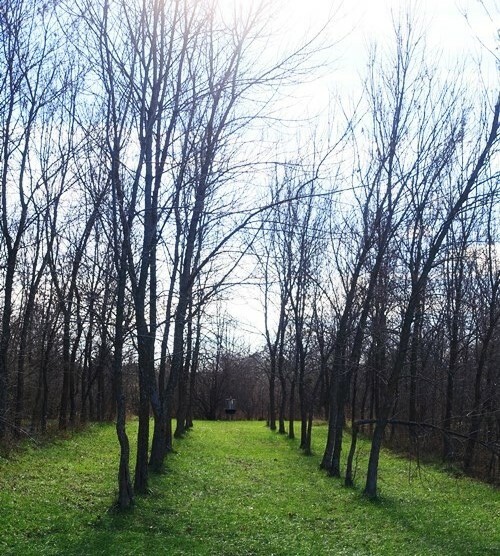 It is a bit difficult to see the basket in this shot, but it is down through the rows of trees. It was a bit challenging to throw it straight down the middle. I liked the nice rows of trees, especially as the sun was positioned just right to throw the shadows straight down each row. When reviewing my pictures this one caught my eye. This is a bit artistic with the pine tree in the foreground and the disc basket in the back. At the third stop I borrowed a disc and played along with them. I am glad that I didn’t play all three courses as the twisting to throw uses some muscles I am not used to using so much. We made it back well before the ladies, and watched a few football games and some movies. It was nice to get some good fresh air and exercise after all the food yesterday. 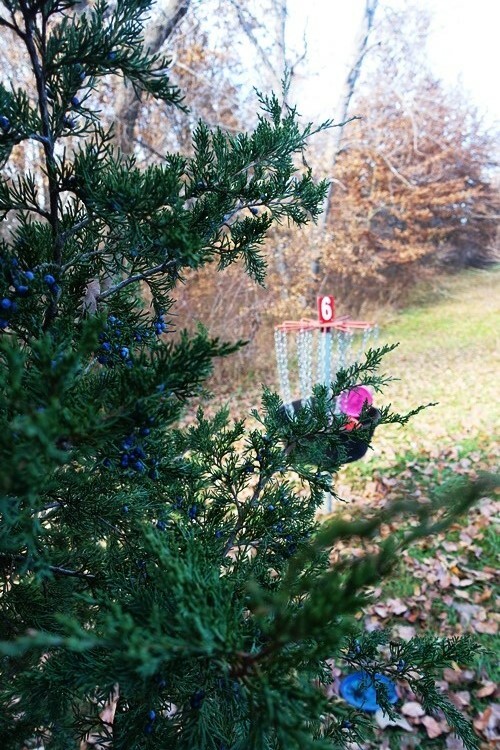 This entry was posted in Culture, Nature and tagged baskets, Disc Golf, Frisbee Golf, Golfing, Kansas City, Smithville, Trees. Bookmark the permalink. Interesting post! I have a taxi business for the Amish! On Black Friday: I picked up the first customer and her friend and we went to the mall for some shopping. 3.5 hours later I had them at home and picked up two other customers (sisters who had a ladies night out at the hotel), to take home. I arrived home, heated up some pizza, finished it off, and headed down the road. I had heard there was a Snowy Owl in the area. I arrived at the location of the sighting and it was still there. I took some photos and then drove around taking photos of farms with corn shocks in the fields. On the way home I received a call to take a gentleman and his married daughter to the doctor. While on that run, a sister of the morning shopper said another sister, a brother and her want to go to the mall shopping. I picked them up at 4 pm. They went shopping for 2.5 hours, then we went to Applebees for dinner, and I was home by 9:30. A fun filled day with a nice income. Most days, I only have one taxi run or maybe two, with some weeks, three days without any trips!